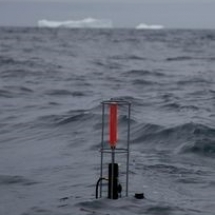 During the Greenedge cruise, different equipments are used to track the “ice edge spring bloom”. Among these equipments, we have PRO-ICE floats. 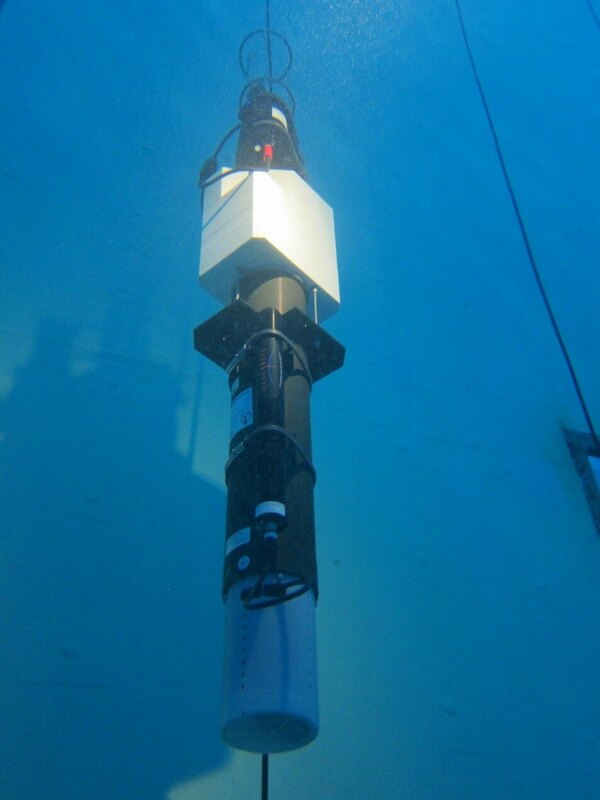 PRO-ICE floats are autonomous platforms, equipped with numerous sensors dedicated to characterize the water column. 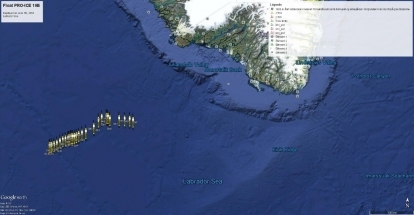 Looking at the international ARGO map, one can see that ARGO floats deployed in the global ocean are uniformly distributed all over the world, but with an obvious deficiency in the Arctic, especially, in the Baffin Bay. The main reason of this deficiency is, till now, how to achieve a safe navigation in icy waters. 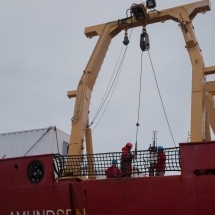 The challenge resided in adapting the floats to the icy conditions of the Arctic Ocean to prevent them from surfacing in ice-covered areas or transmitting data across the ice cover. One float (with basic sensors salinity, temperature, Depth , Oxygen) was deployed in Labrador Sea early June 2016 as a prototype for cold waters navigation. The map below shows its route since 7th of June till today. PRO-ICE is a new generation of ARGO floats (manufactured by NKE) with a feedback of sensors on the vector. One other major feature is the possibility to change parameters thanks to an up/down Iridium link. During its life (at least 3years) the float drifts (lagrangian ARGO float) and profiles between the surface and down to the bottom ( to 2000m when relevant) then back to surface. When back to the surface the float is geo-localized and transmits its data thanks to Iridium communication system. 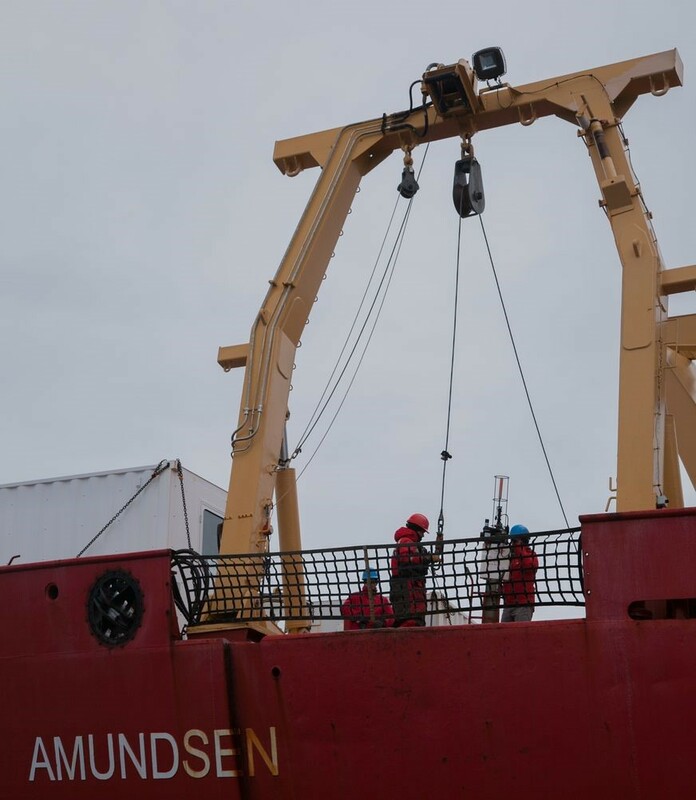 4 PRO-ICE floats equipped with a complete payload will be deployed by the end of GreenEdge cruise in Baffin Bay. The sensors are conductivity (salinity,) Pressure, temperature, Oxygen, Fluorescence chla, fluorescence CDOM, Backscattering, radiometers (3 wavelengths and PAR), and nitrate sensor. 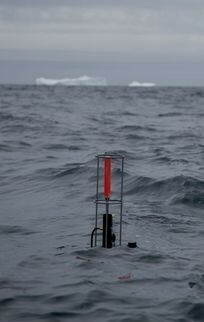 These floats are dedicated to icy waters and are able to detect the presence of ice (sea-ice and icebergs) and stop their surfacing if ice is present. They will use an algorithm based on temperature and an active acoustic system. The first measurements are very good! 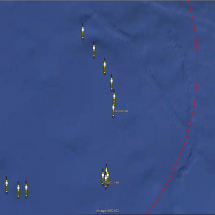 The deployment of 4 PROICE floats was announced for the end of the cruise. Here we are! The 4 floats were deployed by the 9th of July…a long night but successful night…we launched the 4 floats roughly at the positions that we announced. 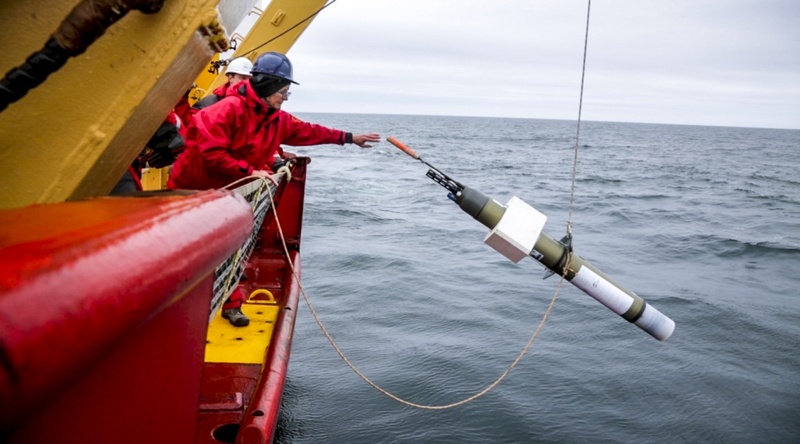 Some adjustments were done to cope with the ice-cover as well as to fit with the CTD transect. 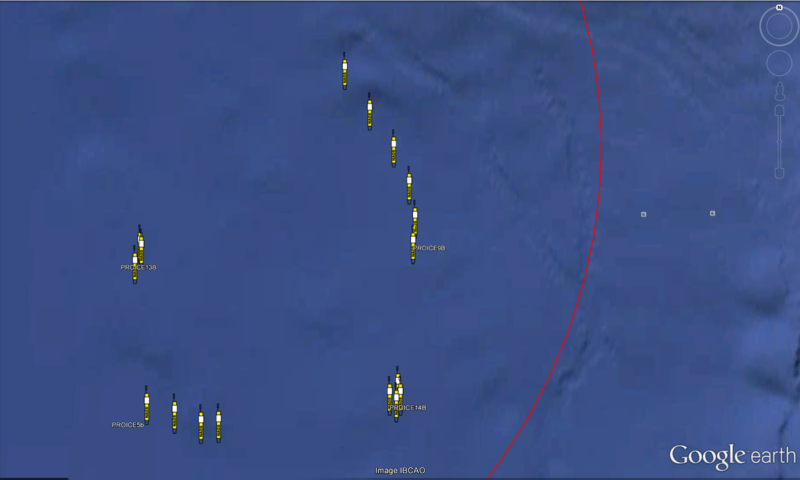 As you can see, 3 of them stay navigating in the same area, although PROICE9B is going in the North West direction. These PRO-ICE floats are equipped with a complete payload .The sensors are conductivity (salinity,) Pressure, temperature, Oxygen, Fluorescence chla, fluorescence CDOM, Backscattering, radiometers (3 wavelengths and PAR: Photosynthetically Available Radiation), and nitrate sensor. The ice-detector based on sea ice optical properties, was installed on PRO-ICE14B….for a safe navigation we deployed the floats in a free sea- ice area… suspense… nevertheless, icebergs were quite present!!! In the meantime, our float that we deployed early June in Labrador Sea still goes on navigating and measuring the Ocean! Good luck to the floats! So interesting it even stops and it can be under water for 3 years?? Do you get to watch when it’s under the Water? And what if it breaks how would you know?? And where can you find it? Like it shows many of the Pro Ice Floats you put??? The battery was calculted to reach that autonomy. 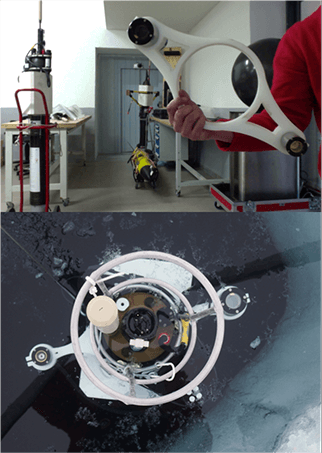 Other Argo profilers which only equipped with basic sensors (Conductivity/salinity, Temperature and Depth) can reach 5years of work. The float t is equipped with a GPS and transmits its position each time it comes to the surface. 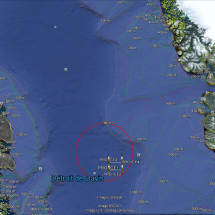 This summer we deplyed 1 float in Labrador Sea and 4 in Baffin Bay. 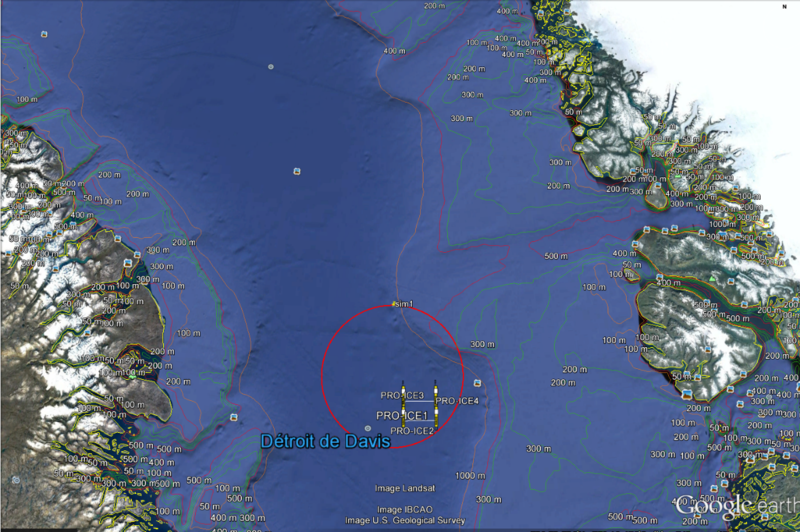 We have 14 floats more to deply in the Baffin Bay within the 3 next years.